Expanding our comfort zone, by making our fence bigger through valued actions! Today we’re going to use a metaphor for anxiety. Imagine that your comfort zone is like a piece of property with fence around it. You have your little house, maybe a few trees, and the perimeter is a fence, and there’s an alarm system installed. The alarms are triggered anytime something moves across that property line, out of the comfort zone: there are flashing lights and sirens that scream like tornado warning amplifiers. Beyond the fence lies all sorts of wild and interesting landscapes, terrains and happenings, and sometimes we find ourselves fantasizing about crossing that fence and taking a swim in the pond just beyond our yard… maybe you even remember a time when you hopped the fence to look at a curious tree, and then the wailing noises and strobing lights startled you and you wandered back to the yard, back to the comfort zone, a place of safe feelings. 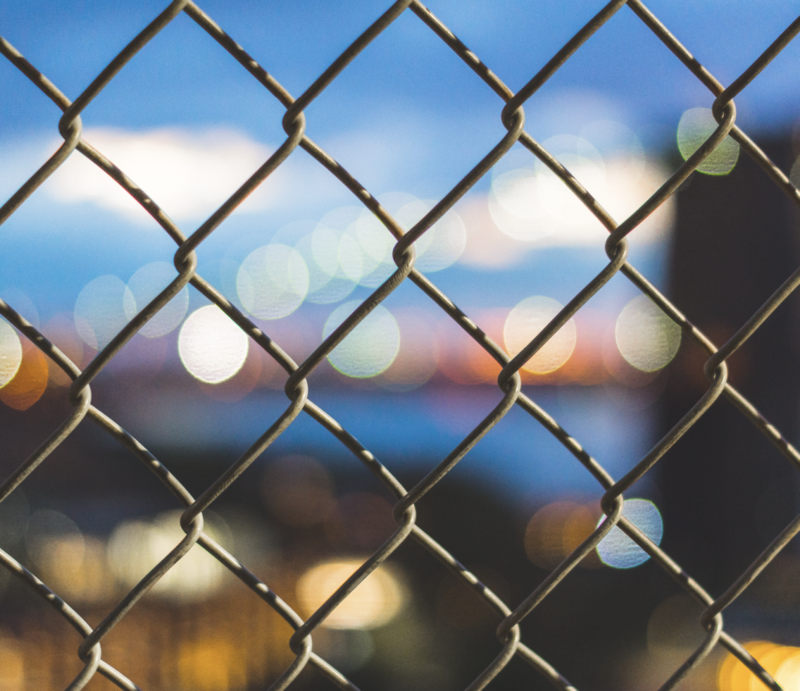 The problematic thing is that there are many appealing, desirable and fascinating things beyond the fence, things like meaningful relationships, exciting opportunities to learn and explore. Sometimes we feel as if we want to curse that damn fence and those damn alarms, because they keep us from attaining and obtaining the things we are drawn to beyond the perimeter. But remember, this alarm system is extremely important: it keeps us from getting eaten by wolves, or from wandering too close to the bluff’s edge. So, while it’s understandable, normal and reasonable to get frustrated with our alarm systems it’s not so helpful for us to try smash, suppress or destroy it. If we got rid of it, we’d lose a vital signal system that alerts us to important events and environmental dangers. I experience a lot of fear around meeting new people, and so “making new friends” is a happening that lies outside of my comfort zone… and making new relationships requires me to scale the fence, and sound the alarms. If such an unpleasant consequence exists, such as the wailing of sirens, why would I have any reason to endure such a thing? Well, because I have a good reason “why”…. because relationships are important to me; they are things that I want; things that I value. Having values, and reasons “why” for crossing the perimeter are more important than my distress in enduring the alarms. And the amazing thing is this- when I am willing to keep on working, practicing the valued thing and challenging myself to be uncomfortable in that place beyond the fence, I begin to build a new fence line. Every time I challenge myself to meet new people, I am pounding another fence post in, and soon enough, I’ve built a new fence, and re-calibrated my alarms… my comfort zone gets bigger!! Make a list of a few things you want to do, identify your values and consider what it would take to start pounding fence posts. Remember- you cannot build a new fence all at once, and moving your fence even an inch is a success. Consider this question: what is the smallest possible action that I could take, and feel reasonably able to, that would begin to move my fence just one inch closer to where I want to be? In order to expand our comfort zone, we need to take calculated risks and challenge ourselves to do things that are a bit uncomfortable. Start with the smallest action you can take to move towards your values. Alarm systems are normal, and helpful! But sometimes they need to be re-calibrated! Next Next post: Finding Humor!